Comet 302680C Drive Clutch for Concrete Trowel Machines. Comet/Salsbury 1190 Series. 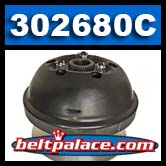 Home > Comet Clutches and Parts > Comet 302680C. Drive Clutch, 1190 Series. 1-1/8" Bore. Comet 302680C Drive Clutch for Concrete Trowel Machines. Comet/Salsbury 1190 Series. Extra Heavy Duty rated. 1-7/16" TW Belt, 1-1/8"Bore, 1700 RPM Engagement, 1195 DRV. 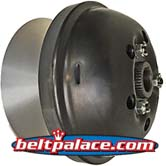 OEM Primary Clutch 302680-C for Whiteman/MultiQuip Ride-on Trowels.